Nestling on the Western shore of the Arabian Gulf, Qatar is a unique destination that is steeped in culture with an eye on the future. Inhabited by a deeply spiritual people, Qatar is home to individuals with unique taste and impeccable style. This taste and style is a tradition brought down from generation to generation. From a time when dwellers roamed the golden sands adorned with the trends of their ancestors. Our designs are imbibed with creativity and yet are well structured to meet the desires of a refined woman. FURSAN is proud of the marriage between Qatari creativity, innovative design and Italian craftsmanship. 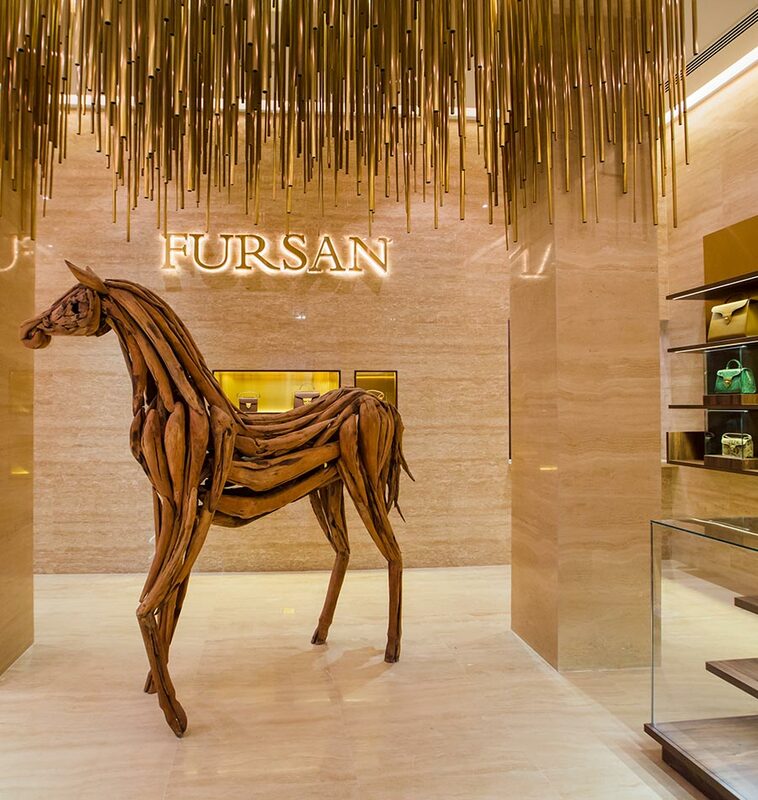 Each bespoke handbag of Fursan demands over 40 hours to produce. We invite you to share our passion for precise, unique and impeccable workmanship. Discover the luxurious and unique qualities of bespoke Fursan handbags for yourself. Stay updated with behind the scenes and news by following us on our social media below.